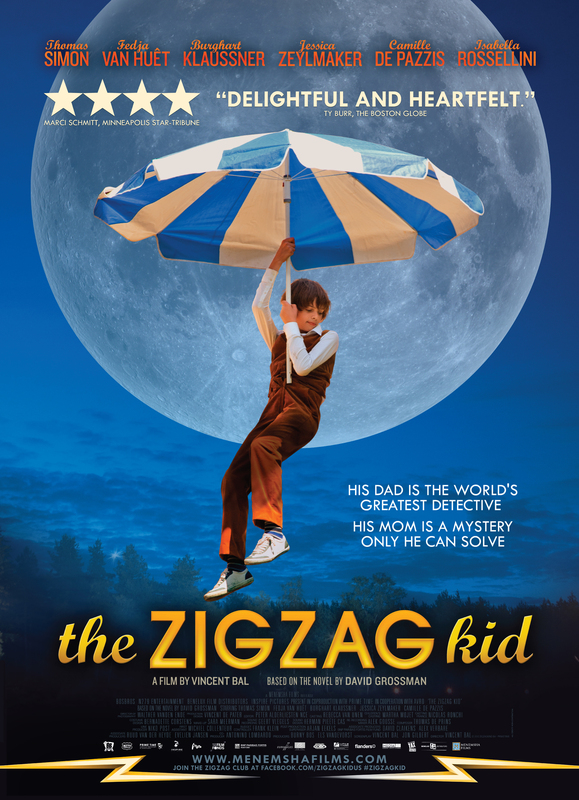 With the upcoming release of film “The Zigzag Kid,” on April 25, 2014 at The West Newton Cinema, we, the film makers, invite kids to enter an essay contest. “The Zigzag Kid” is a witty, spirited and action-­packed adventure about an almost thirteen-year-­old boy named Nono and his world of confusions, fears and fantasies. Nono longs to be a good detective like his father but his wild nature constantly gets him into trouble. Two days before his bar mitzvah, he is sent off to his uncle’s to be disciplined yet again. Once on the train, the over-imaginative boy discovers one last chance to prove himself and so his wild adventure begins. The film is in English, French and Dutch, and it contains subtitles making it perfect for students of any level. I have attached reviews about the film, and you can find out more and watch the trailer on our website and Facebook page. Students (grades 6-12) who see the film and write an essay about it can submit their essay for a chance to win prizes. This is a great opportunity for children to be exposed to the world of foreign films and practice their French (or Dutch). The essay can be written in English, French, or Dutch and there will be 1 winner chosen from each school. The deadline for submissions is May 9, 2014. More information about the essay and the rules is included in the attached flyer: TheZigzagKidEssayContest-Flyer_Boston_.